Every two years, at the end of each legislative session, the Legislature creates numerous Legislative Study Committees – comprised of lawmakers and public members with relevant expertise – to examine and recommend solutions to challenging policy issues facing the state. This year, there are two study committees of importance to WEDA: The Study Committee on Property Tax Assessment Practices and the Study Committee on the Investment and Use of the School Trust Funds. 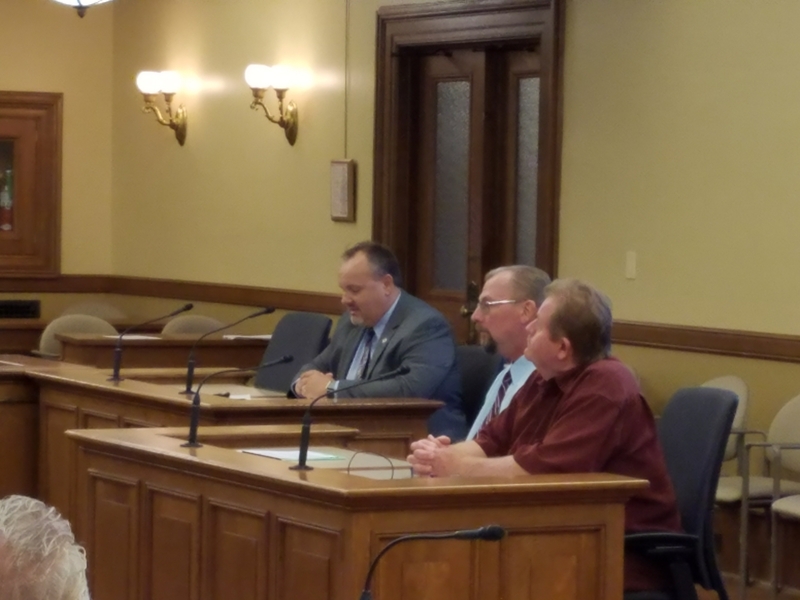 Earlier this month, WEDA member and West Allis Community Development Director Patrick Schloss testified before both committees to provide the economic development perspective on issues being discussed and considered by the committees. WEDA would like to thank Patrick for taking time out of his busy schedule to represent the interests of WEDA members and economic development. The committee is focusing on how the state’s school trust fund should be managed and used in the future. Several members of the committee would like to adopt new investment policies to increase returns for the funds and would like to examine potential changes to the State Trust Fund Loan (STFL) program. The state’s school trust funds are managed by the Board of Commissioners of Public Lands (BCPL). The funds are invested by the BCPL to produce earnings to support school libraries and public education. One investment vehicle administered by the BCPL is the STFL program, which provides loans to municipalities and school districts for public projects, including economic development, local infrastructure, and refinancing existing liabilities. The program is one of the largest public investors in economic development projects, investing over $1 billion in communities across the state over the last decade. In light of legislation introduced last session (which ultimately failed) that would have eliminated the STFL program, WEDA is concerned about the committee’s intent to examine the program and any potential legislative recommendations it makes that would harm the success of the STFL. For that reason alone, it’s critically important for WEDA to be part of the study committee process, and by presenting before the committee, Patrick provided WEDA (and economic development) with a voice in the discussion. He testified at the second meeting of the study committee on Sept. 5 and did a tremendous job highlighting the importance of the STFL program to economic development in Wisconsin. Along with Phil Cosson, another WEDA member Senior Municipal Advisor at Ehlers, Inc., he explained to the committee the need for the program and the benefit it provides to communities in terms of flexible, low-risk and easy to navigate financing for local economic development projects. Their testimony was also effective in countering comments by the Wisconsin Bankers Association that the STFL program unfairly competes with banks and should be a lender of last resort for municipalities. Heading into the next committee meeting, which will be held Oct. 11, committee members were asked to consider numerous issues for discussion, including potential changes to the STFL program. While the committee generally acknowledged that the program should not be eliminated, several members expressed a desire to implement “reforms” that would require municipalities to contact banks for potential financing before applying for a STFL loan. WEDA’s Government Affairs Team will continue to monitor and engage the committee on key issues of interest to the association and our members. Officially, the study committee is tasked with reviewing current property tax assessment practices and recommending legislation to revise and clarify property tax assessment practices, including recommendations regarding the role of comparable sales and the assessment of leased property. More to the point, the committee was given the difficult job of finding a potential compromise on the dark store property tax loophole issue. Under the dark store theory, large retailers and other commercial properties argue their stores (or buildings) should be valued as if they were empty or “dark,” rather than a thriving, active business. This selective application of the property assessment methodology benefits one property taxpayer over another. While a handful of large retailers would benefit from lower property taxes, homeowners and local businesses would be forced to shoulder a much larger tax burden. The dark store loophole also jeopardizes the financial viability and success of Tax Incremental Financing in Wisconsin. WEDA supported legislation in the 2017-18 session that would have closed the dark store loophole. The bill ultimately failed to pass. In his 30-minute testimony before the committee, Schloss explained the importance of tax incremental financing (TIF) as a key local economic development tool, highlighting his successful experience with TIF law in West Allis. He also educated committee members on the negative impact dark store-related property tax assessment appeals can have on the financial viability of a TIF district. At the end of the meeting, members were asked by the committee chair to offer additional discussion topics or potential policy recommendations for consideration by the committee at the next meeting, scheduled for Oct. 9. WEDA’s Government Affairs Team will continue to monitor and engage the study committee on key issues of interest to the association and our members.